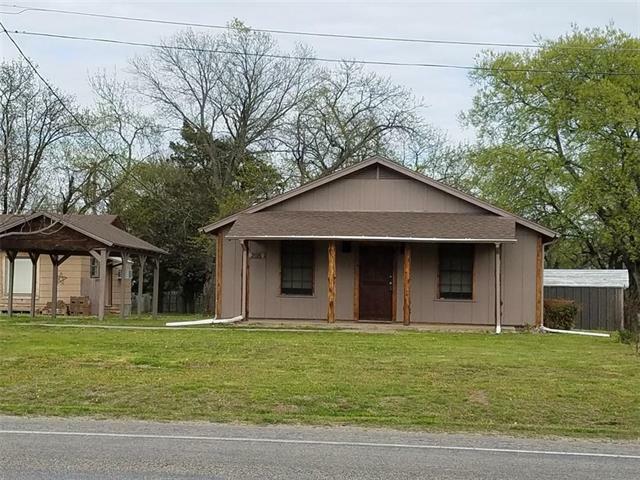 All Tioga homes currently listed for sale in Tioga as of 04/25/2019 are shown below. You can change the search criteria at any time by pressing the 'Change Search' button below. 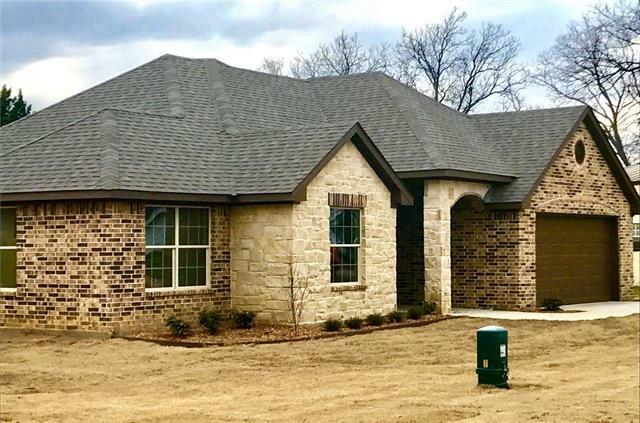 If you have any questions or you would like more information about any Tioga homes for sale or other Tioga real estate, please contact us and one of our knowledgeable Tioga REALTORS® would be pleased to assist you. "Immaculate cutting horse facility on almost 70 acres in the heart of horse country with hay operation. Minutes from the I35 corridor & Dallas Tollway. Top end stylish home, gourmet kitchen, media room 5 bedrooms & more. 100'x275' arena, 100'x100' covered. Wash & tack room, rotating saddle wall, viewing area with attached platform. 6 horse programmable Priefert exerciser. 5 stalls in arena, 4-12x12, & 1-24x12 with rear exit doors, show barn, room for 8, 10x10 stalls. 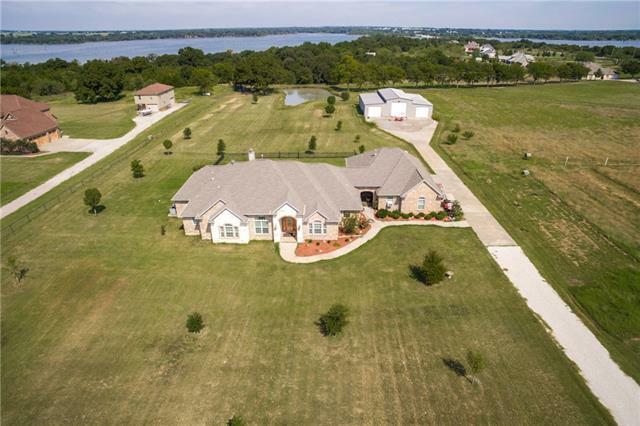 Improved pastures with hay op"
"Enjoy the acreage on the Corp of Engineers*fishing pond & dock*30x40 workshop & overhead door for RV, electricity & water*33 zone sprinkler system*16x26 covered patio*saltwater pool-hot tub & bath house*19x8 covered front porch*stone fireplace & built-in gun case*remote start fireplace with gas logs*plantation shutters & expanse of millwork thru out*granite countertops in the kitchen & all bathrooms*upgraded light fixtures & plumbing fixtures*built-in bookcases in both study's*media room include"
"2007 custom home including mother-in-law suite on 7.7 acres adjacent to Lake Ray Roberts.Incredibly built with many extras.Generator with 22 KW, solar decking-radiant barrier,2 tankless propane water heaters, storm shelter and much more.64x60 outbuilding with 4 doors, concrete floors, middle door drive-through 14'.Beautiful stocked pond, trees and pastures, pipe and smooth wire fence. On city water, plus has private well.Tioga ISD. Hour N of DFW." 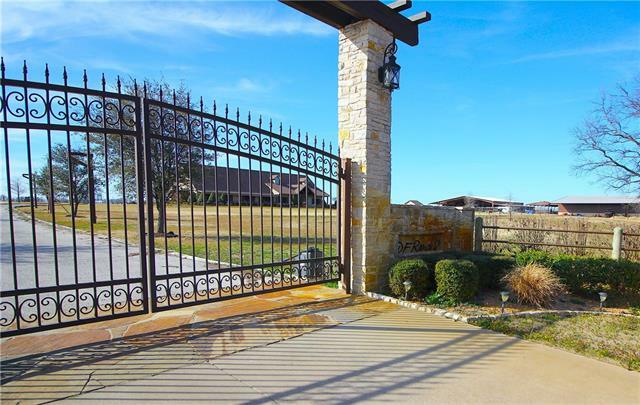 "***This stunning property backs to LAKE RAY ROBERTS corp of engineers! *** HORSES are ALLOWED on your 4.23 acres of land! Enjoy all the nature surrounding you from the lake to the open spaces. Boating, kayaking, jet skiing, bonfires are part of the lifestyle you can enjoy. The main home has towering ceilings, beautiful wood cabinets and trim and two masters down. Upgrades galore, including granite counters, stainless steel appliances, hidden storm shelter to protect your family and central vac! " 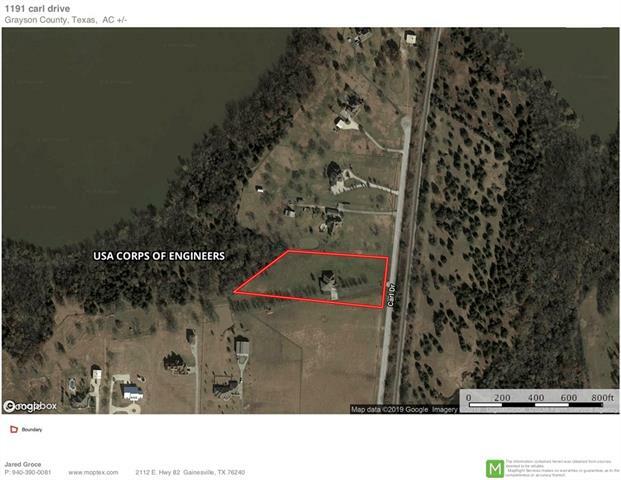 "Home on acreage for sale ADJACENT TO CORP OF ENGINEER LAND LAKE RAY ROBERTS. Home boasts brand new roof (July 2018), freshly painted outside (July 2018). Great kitchen, 2 dining areas, a fantastic home office & verified safe room in the event of bad weather. Master suite is huge (60' X 21') and has one of a kind open master bath with dual showers & jetted tub. Other 3 bedrooms & two full baths are located on opposite side of the home. Stained concrete floors with exception of 4 rooms, 2 having "
"Beautiful new brick & stone home in the friendly little town of Tioga! 3 bed 2 bath with huge backyard and grand towering trees. Gas range in the kitchen w knotty alder cabinets, granite, stainless appliances & walk in pantry. Carpeting in the bedrooms and wood in the living area. Tile bathrooms and kitchen. Master Bath has separate shower & double sinks. Tub combo in 2nd bath. Ceiling fans throughout. Laundry room has a large closet for supplies & linen. Large 2 car garage that is finished out"
"Charming Farm House Cottage! Step inside this home and you will be amazed to what it has to offer. This home was taken down to the bare bones and completely redone. 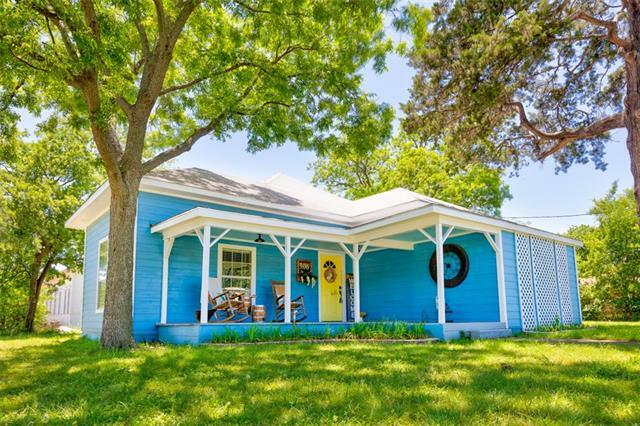 You will love relaxing on the large front porch on a corner treed lot. Features include: beautiful new wood flooring, tall wood planked ceilings, shiplap walls, lovely art entry wall, open concept, kitchen with natural wood backsplash & counters, stainless farm house sink, big rooms, master with pocket door entry & walk-in-closet "
"Beautiful remodeled 2 bedroom, 1 bath single family home on .25 acre partially landscaped lot that can be commercial or residential but not both. Home has new paint inside & outside and new laminate flooring. Would make an excellent vacation home or office. 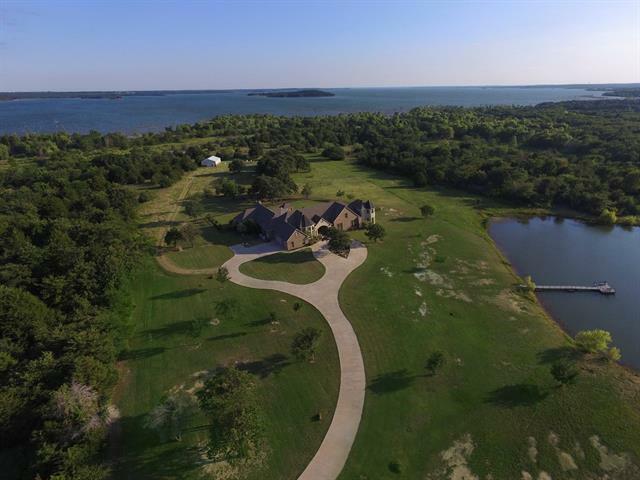 Easy access to Lake Ray Roberts and the Buck Creek Boat Ramp. Ceiling fan and blind included in every room. Cable TV and internet-ready. Check out the great school system. Include range-oven." "Turn back the clock, bring your antiques and live a lifestyle from yester-year. Such great possibilities from this Early American style home. 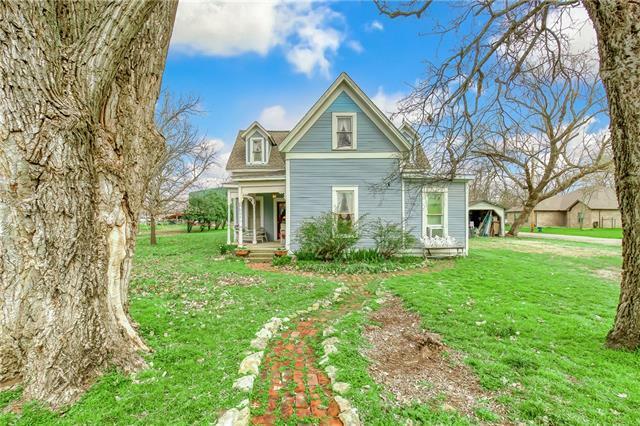 High ceilings, large moldings, original wood floors and huge .49 acre corner lot. Lots of space with 2 bedrooms up stairs and downstairs a formal living, formal dining, den-study, office, large eat-in kitchen and separate utility room. Flexible floor plan can easily add a 3rd bedroom. Buyer to verify all information. Exclusions: Exterior: Gazebo. L"